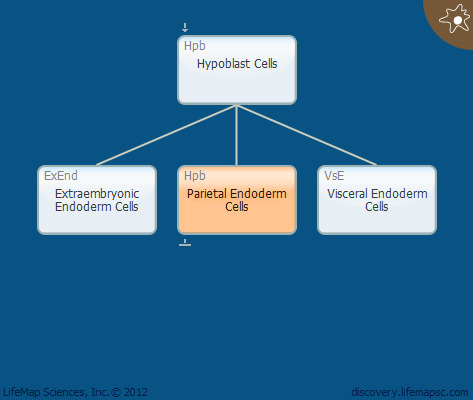 Parietal endoderm cells line the mouse parietal yolk sac interior. The parietal yolk sac does not exist in human development. PTHrP, RA and dibutryl cAMP induce parietal endoderm differentiation.